Whilst the weather has been raining here for the last 2 days and rather cold! So I thought that another recent surf image was in order to brighten things up a little in denial of the inevitable plunge into winter. This guy is charging down the face on the first reef as the kelp licks up in the pit. ~ by Tony Middleton on May 3, 2012. Thanks mate – Looking outside with 150mm in the last week and a half, it’s hard to think atm that this was less than a month ago. 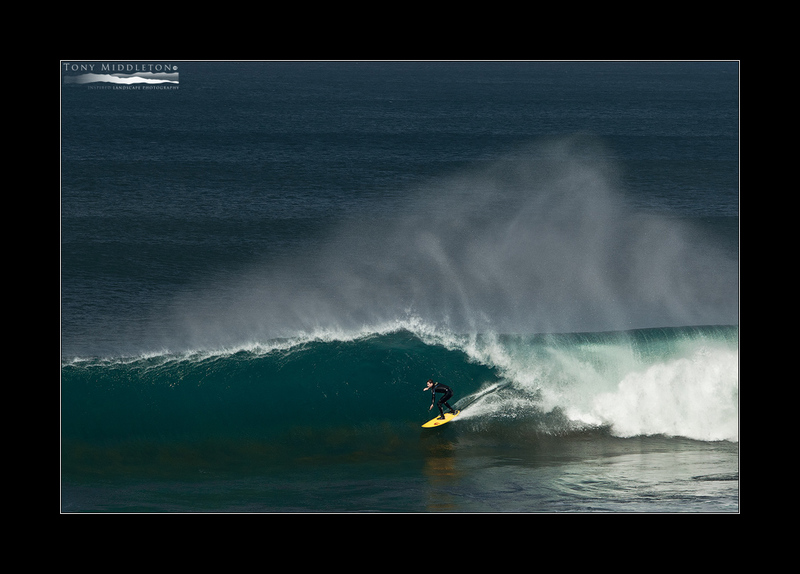 Only 1 hell man goes left here, and he regularly surfs places like Shipstern’s in Tas when it’s HUGE!